Cold weather often brings a serious craving for comfort food. Here are 4 savory recipes that will provide the taste of home without the extra calories! When winter rolls around, I like to warm up by making hearty meals. Although it's tempting to use heavy cream, lots of butter, and all the pasta I can, it's just not conducive to my healthy lifestyle or fitness goals. So, I came up with these healthier versions of yummy winter dishes to satisfy my need for comfort food without also delivering a giant dose of calories. 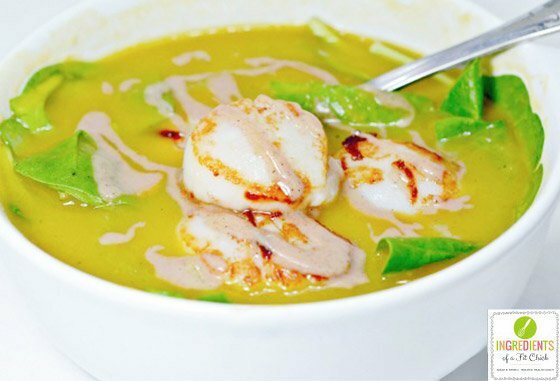 If you're hankering for something hearty and homey, try these four healthy winter meals! Your taste buds, waistline, and muscles will thank you. 1. 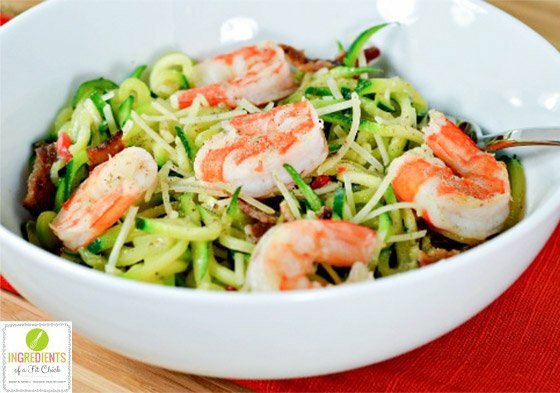 Roasted Red Pepper Goat Cheese and Bacon Zucchini "Pasta"
Looking for a low-carb, low-calorie recipe that tastes amazing and will keep you satisfied? This quick, five-ingredient recipe takes less than 10 minutes to make and can be easily doubled or tripled if you need to feed more people. It's a tasty, healthy meal that will provide lots of protein from the shrimp, plus micronutrients like folate from the zucchini. Sometimes your tastes buds crave sweet and savory satisfaction at the same time. 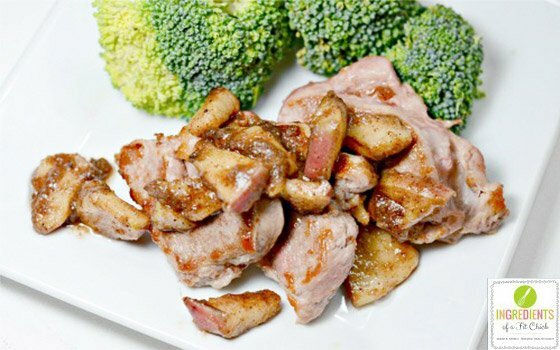 With this delicious twist on pork tenderloin, you can satisfy that urge! Pair this dish with a side of steamed broccoli and you can enjoy a low-carb, high-protein meal. 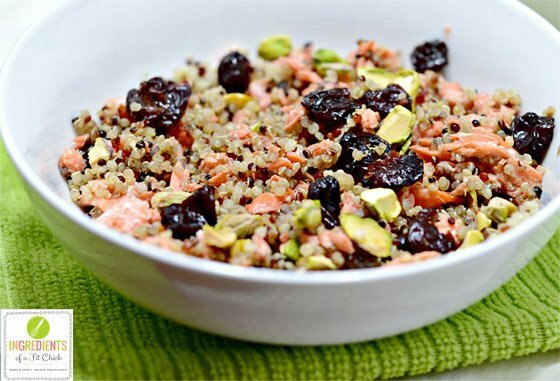 This quick dish is packed with protein. Because it has more calories and carbs than you may want in a regular meal, it makes for a perfect post-workout snack. It's delicious warm or cold, so you can pack it with you anywhere!